This set looks usefull. At leasts it is not watermarked. Others file is not watermarked, just the preview is. I may be wrong but I have the feeling that yinakoSGA is posting art that he does not own copyright to. The source site does not contain a reference to the name "Yinako". Please prove me wrong, as I really like this art! Could be legitimate source site is called SGA as the last part of his name. 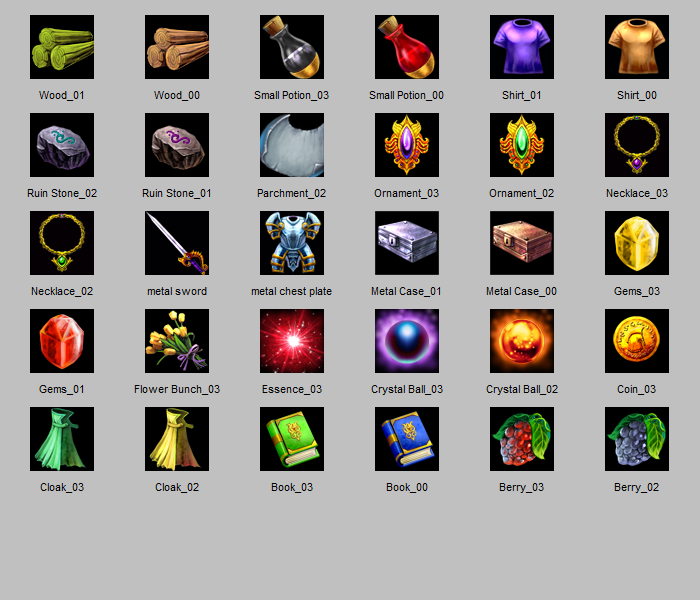 Sold assets contain 109 icons while this pack has 30. He could be trying to advertise his site. Wish the backgrounds would have been transparent. Anyway, I guess I'll edit some of them in order to use for Ancient Beast since they fit the style, so thanks! Thanks for your input, I'll consider releasing new ones with transparent backgrounds in the future. Cheers! The items in my game are not yet usable so I won't rush tweaking them and rather wait for your possible release. Another "compatibility" issue is that my project is using 128x128 while these seem to be 64x64, so will either have to down size the current ones or upsize the ones you made. Thanks to everyone who downloaded this, I like to ask your feed backs. What more type of game icons you would like to see, and how we can make more useful resources for game developers. Yinako, please offer these with a transparent background! I started using these in a game I'm working on and I really like the art style; I actually want to buy the full set from your wesbite. But it is such a pain to manually hand-edit the black background out of the files, and I don't have the skills to do it very well so there are still tiny black pixelated areas in each image. I'm having a lot of trouble with the yellow gem, I don't think I'm going to be able to make it useable at all. So I wish on your website you would sell these with a transparent background. Is that possible? Two other things I would love to see from you: 1) I want these in a bigger size! Did you create them at this size, or do you have a higher resolution set somewhere? I'd love to purchase them at a higher size so I can use the retina functionality in my iPhone app. 2) Can you make a old-fashioned dungeon-crawler type silver key in this style? I really need a key in my game, and I want to stick with your art style but unfortunately no key is in this set! Please let me know; I love this set and would love to hear back from you! Hi, the transparent background was requested a few times, I actually i have them with psd files so it will have transprent backgrounds, I'll upload it soon on our main site. 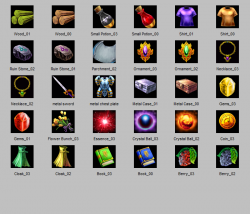 Did you check some of the other icon sets on our site here http://supergameasset.com/icon/items there should be a lots of key icons, if not I'll have look there's a lot of icons I didn't put up yet. All the files on our site will be updated to have psd files soon. about the icon size, no i only have these at 64x64. that said, most of these icons where painted at high resolution but its meant to be used at 64x64 size the higher resolutions would look more rough at high resolution. They are not vector files. But the future I could convert them to vector files for higher resolution. I have update this set with the original PSD files so it can be saved with transprent background or sustitue your own background. It also have effect to make the icon look more magical, you can turn it on or off in the PSD file. You could just use "Colorize" in gimp or some other similar operation.